[Update 2012.06.20] Yes, it’s been almost three years. It occurred to me some time ago that this sort of thing would be pretty simple with iframes. While it doesn’t explain why Google would allow or even desire something like this, it really makes me feel silly about all the time I spent making these screenshots. Then I wondered, would Google let this slip through in Chrome, too? I’m not sure what to conclude about all this. 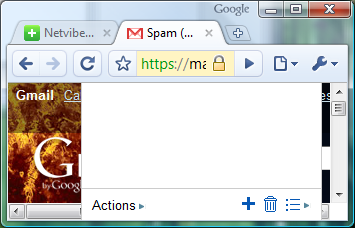 Is this a bug from which all major browsers suffer? 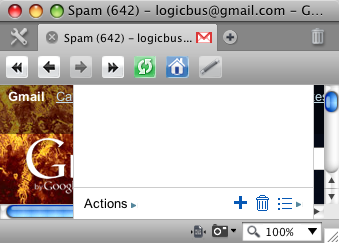 I can hardly believe the functionality got into all these browsers accidentally. 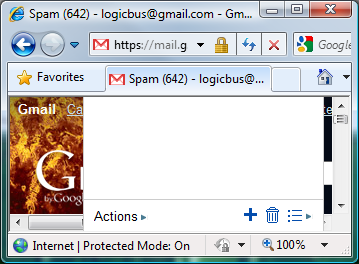 So is it a Gmail bug? 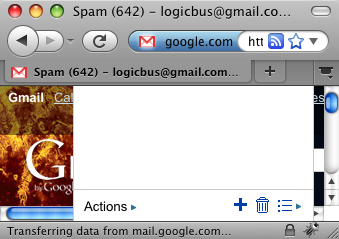 It does get in the way of the horizontal scrollbar. 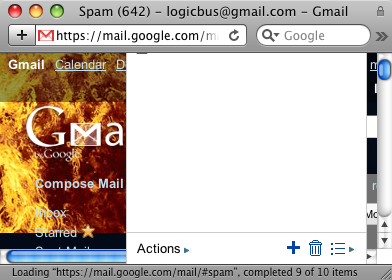 I guess the moral of the story is this: When viewing Gmail with Tasks, don’t make your browser window too narrow.